Founded in 2003, Crawford Door of WNY Inc is proud to be your local garage door dealer. As a small, family owned and operated business right here in West Seneca, NY, we pride ourselves in offering quality service at a reasonable price. From new construction to renovation, we do it all. Our customers tell us price and reputation are what matters the most. To meet and exceed their expectations, we recommend Garaga garage doors. Available in a wide range of styles and colors, Garaga makes doors that withstand our harsh winters. Their energy‑efficient models are great at keeping rain, snow and cold out of your home or business. For inspiration, please visit our image gallery. We sell and service residential, agricultural, commercial, and industrial overhead doors. For more information on all of our garage door services, please call us at 716-668-2252, or use our convenient online quotation form. When it comes to your home, nothing works harder than your garage door opener. Fortunately, today’s openers are safer than ever. Their advanced security systems, infrared beams, and reversing mechanisms all play a role in keeping you and your loved ones safe around your garage door. For smooth, dependable use, day after day, we recommend LiftMaster brand garage door openers. Made by Chamberlain, these units feature great options like wireless connectivity, remote controls and motion detectors. Visit our gallery to see our full selection of residential and commercial door openers. As your safety comes first, always hire a professional when work needs to be done on your garage door system. Our experts here at Crawford Door of WNY Inc will be happy to mount your new door opener to guarantee a safe installation. 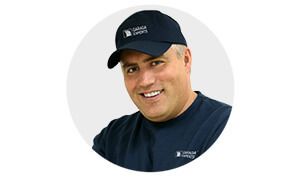 At Crawford Door of WNY Inc, we are members of the Garaga Experts Network of Certified Specialists. That means you can count on us to do the job right since we meet Garaga’s strict criteria for knowledge, experience, and reputation. What else sets us apart from the competition? Our fair prices and our knowledgeable, friendly staff immediately come to mind. We also offer a wide range of services, including the installation, maintenance and repair of garage doors and door openers. To keep your system problem‑free, we recommend our yearly preventative maintenance program. Have a question about our products? Interested in a quote for your next project? Contact us today at 716-668-2252. Located in West Seneca, NY, we also serve Williamsville, Cheektowaga, Lancaster, Depew, Clarence, Tonawanda, Amherst, Hamburg, Orchard Park, Buffalo, Concord, Springville and more. We look forward to serving you.